If you have ever met Zoe you would know, she likes to sing. She is either, talking, singing, or making some sort of noise all the time. When she laughs, she laughs big and loud. When she cries, it is usually a scene. When she dances, she needs a dress and an audience . I'm saying all these things with the love of a Mother. Sometimes these things annoy me, sometimes they make me laugh, but most of all - they make her unique, and I adore that. I have a feeling Zoe will be a dreamer and a doer. She will have big goals and aspirations and will reach them. In the yellow polka dot envelope is a little note for her when the day comes that she needs to read it. Time is short today - lots of life that needs to get some attention - but I hope you have a wonderful weekend! a very, very lovely page!!!! 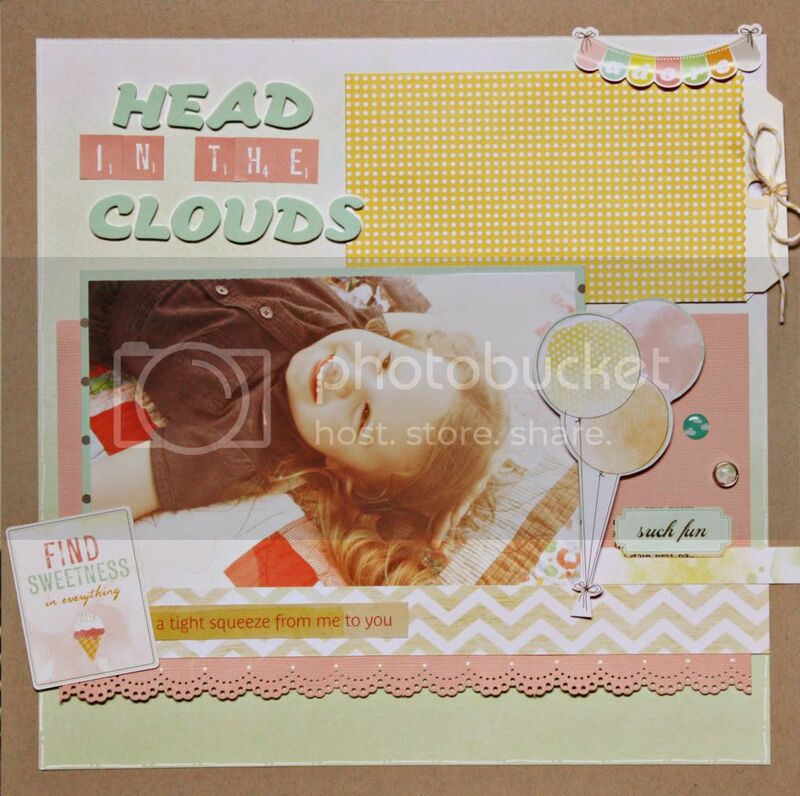 Thanks for sharing... love the layout! cute and sunny page. i like how you used the little bag and turned it into a little bag of goodness! yout layout is sooo nice! I like these warm colours!